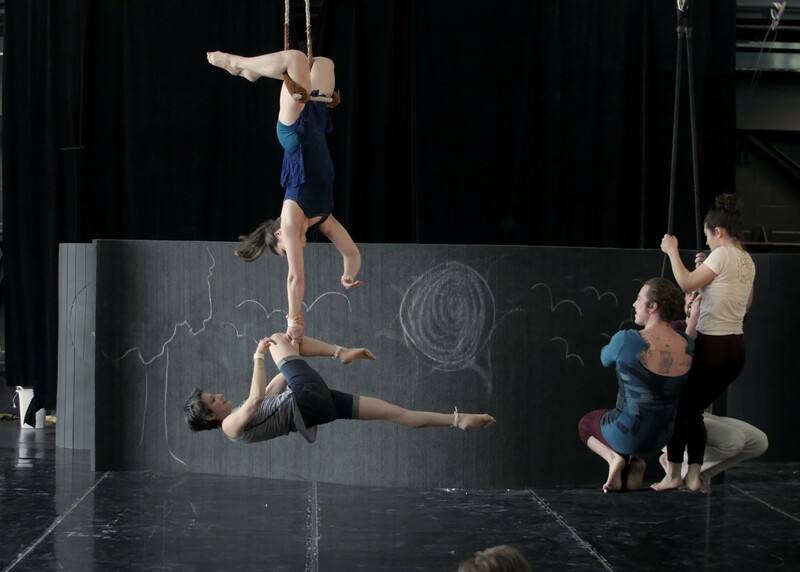 This past fall and winter, I cocreated a full-length ensemble circus-theater show with 4 friends, Tinder & Ash, during 4 months in Montreal through a residency from the circus-mecca TOHU. We performed a work-in-progress showing at the end of our residency at ENC in January, and now we’re ready to debut it in the states! Get tickets here, and visit our Facebook event page for more photos and info. Developed by 5 graduates of the New England Center for Circus Arts through a 4-month Montreal creation residency from the TOHU, Tinder & Ash is a new, full-length ensemble circus-theater show about the little and big deaths we experience in our lives, about losing and finding ourselves and each other, about intimacy and support, grief and humility, avoidance and forgiveness, and, through it all, the magnificent journey of transformation.Through the simplicity of theater and an immediate connection to the audience, and through virtuosity and innovation within circus, five individuals bravely seek to discover and reinvent their paths, allowing the audience to witness their vulnerabilities along the way. With humor, fierceness, and tenderness, Tinder & Ash offers a truly cohesive ensemble show that illuminates the human experience—where it begins, where it ends, and the many arrivals and departures in between.